Eurowings is the low-cost subsidiary of German flag-carrier Lufthansa. They started out as a regional airline, but are now offering flights all over Europe as well as long-haul flights to Asia and North America. Recently they added a Business Class cabin, making them more of a hybrid-airline and hve been growing quickly! If you are planning a trip with Eurowings, it’s worth reading on to find out more about the fleet, destinations and experience! The Airline: Eurowings (EW) started in 1993 as a regional airline with a few turboprop planes. Today, an all-jet fleet of 89 planes serves 79 destinations in 31 countries! SkyTrax rates Eurowings as a 3-star airline, on par with other low-cost carriers. AirlineRatings gives Eurowings a perfect 7/7 safety rating. 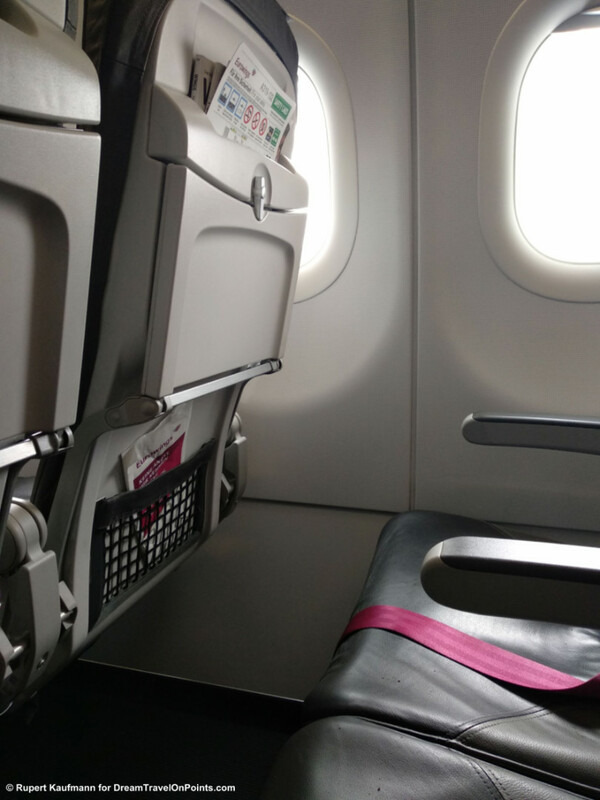 The Experience: Eurowings is positioned as a low-cost carrier, but offers a Business Class and Premium Economy cabin, in addition to Economy. 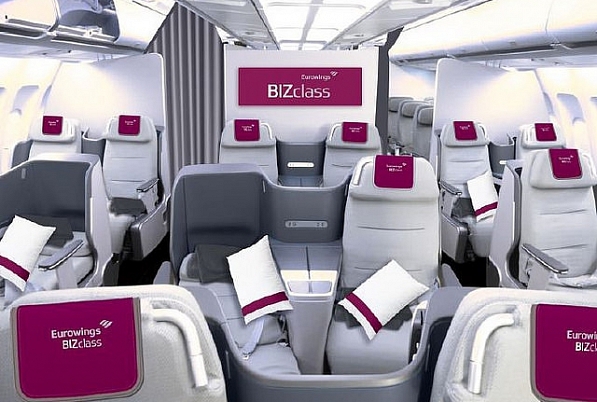 They have un-bundled basic fares, so you have to pay for luggage, seat assignments or food onboard, but Premium Economy or Business Class fares include various add-ons, making Eurowings a hybrid carrier, somewhere between a traditional full-service airline and low-cost carriers like Ryan Air. 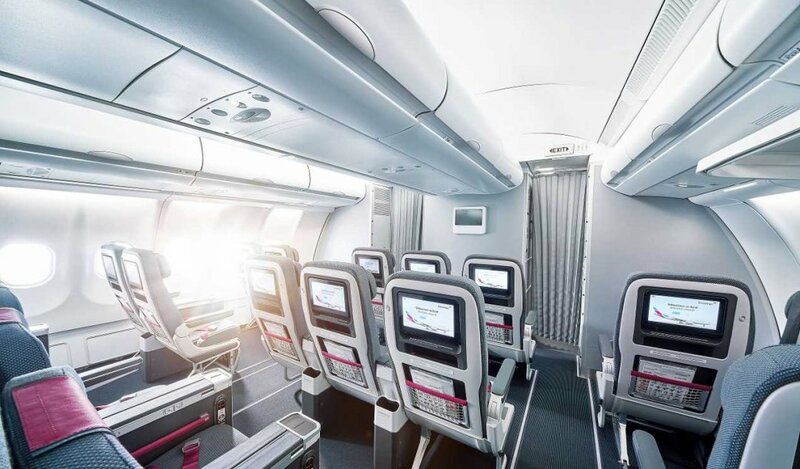 The Eurowings Business Class uses the same seats as the current Lufthansa Business Class with fully-flat seats in a 2-2- layout on long-haul flights and the European style Business Class on short-haul flights with an empty middle seat. You get priority check-in and boarding, lounge access and free food, drinks and entertainment onboard. Premium Economy also offers similar seats to Lufthansa on long-haul flights, with more legroom and width as well as entertainment, food and drinks. 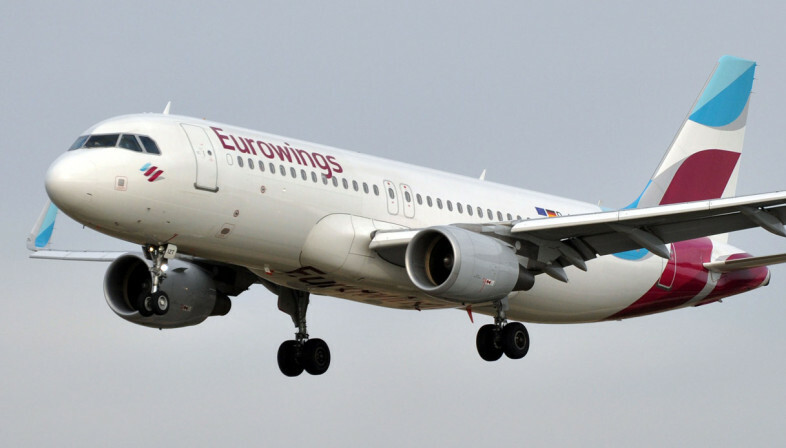 Eurowings Economy is designed to compete with other low-cost carriers, offering tight seats and requiring payment for food, drinks, seat assignments and luggage. I enjoyed my flights and found the service to be a step above other LCC! Eurowings business class passengers have access to select Lufthansa lounges. The Online Experience is also very pleasant, making it easy to book flights, manage your reservations, check-in online or manage your frequent flyer account. I found the experience to be better than Lufthansa’s own site! The Rewards: Oddly, despite being a subsidiary of Lufthansa and being able to earn Lufthansa miles & more miles on Eurowings flights, Eurowings also has it’s own program, called Boomerang Club. It’s most useful for infrequent travelers, who mostly fly on Eurowings to their European destinations and don’t fly enough to earn status. Read my Boomerang Club Review to find out whether you should join Boomerang or LH miles & more! 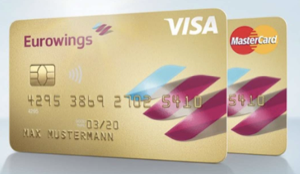 You can earn additional miles and even get some status perks, like fast-track lanes at some airports, and most importantly, prevent the expiration of your miles by signing up for their affiliated Eurowings credit cards – a great option for Booomerang members in Germany!